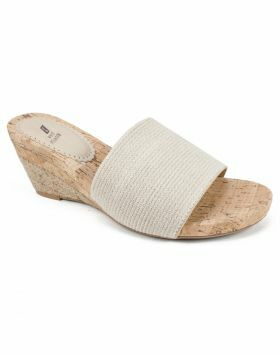 For a classic summertime look the macrame fabric Amherst wedge sandal by White Mountain shoes is it. This open toe slide sandal features a lightweight natural cork wrapped footbed with added heel padding. 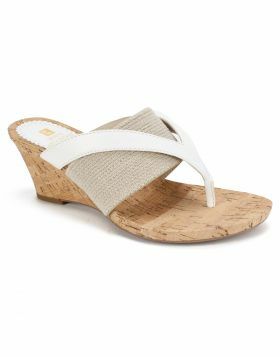 For a classic summertime look the macrame fabric Amherst wedge sandal by White Mountain shoes is it. 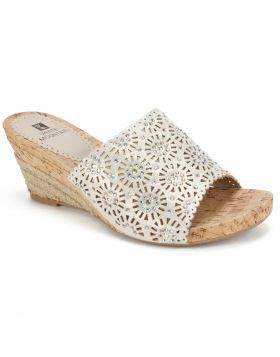 This open toe slide sandal features a lightweight natural cork wrapped footbed with added heel padding. Heel height 2 3/4 inches.